Shades of Kerala through a Tourist's Eyes - GoodGuysBlog.com - New, Technology, Marketing, Health and So on. Located on the SouthWestern Malabar Coast of India, Kerala is known as the God's Own Country. Surrounded by Tamil Nadu, Karnataka, Arabian Sea, and Lakshadweep Sea from either side, Kerala is known for its greenery, rivers and tastes completely different from the rest of the World. The temperature remains good for almost 10 months varying from 26 to 29°C. Kathakali and Mohiniyattam(or we can say Mohiniattam) are the two prominent dance forms of Kerala. The capital of Kerala is Thiruvananthapuram, but from a cultural and food point of view, Thrissur is another capital of the state. It is the first choice for any tourist visiting India. Kerala is the land of blackwaters, the Chinese fishing nets, Ayurveda, tea plantations, lush green forests, mountains, and waterfalls. When it comes to food, Kerala is heaven for foodies, especially for non-veg lovers. It has a variety of Malabari biryani amongst which jackfruit biryani is on the top. Additionally you can make your journey memorable by booking your flight ticket using Make My Trip Promo Code at affordable prices. There are two sides of Kochi, the modern one with the modern theme based cafes, and the old part where you can find local restaurants with some of the most delicious foods of Kerala. Kochi is also famous for parippuvadas, a breakfast dish in Kerala. It is also the commercial capital of Kerala and a known place honeymoon couples. It is famous for its Chinese fishing nets, an extraordinary fishing technique practicing there. Don't forget to visit the old Mattancherry Dutch Palace built by the Portuguese in 1555. The Ayurveda treatment is a 5000 years old healing method to provide you a sense of happiness and relaxation. Princess Street is also a good place to taste a variety of street foods and to buy clothes. LULU mall of Kochi is one of the biggest malls in India to do a lot of shopping. Located in the southern part of India, Poovar is famous for its sea sight and backwater boat experiences. From Poovar as a base, one can easily visit other areas like Varkala, Kovalam, and Kanyakumari. At Poovar, there is a variety of food you must try out especially the sadhya. It is the combination of 26 different dishes brought together on a single banana leaf. Pisum is also one of the main dishes in sadhya. Poovar is also famous for its backwater cruise, these are the boats built in the form of a house to give a luxurious look to your trip. There are a number of beaches including the Hawa beach and Vizhinjam Lighthouse. Munnar is the next stop from Kochi, it is a famous summer resort at the height from 1600ft to 1800ft. Munnar is a beautiful hill station with many tea stations and lush green forests. It is also famous for its spice gardens and cocoa safari trips. Eravikulam National Park is the main tourist spot in Kerala both for domestic and international tourists. The waterfall-like Chinnakkal, Kuthumkal, Cheeyapara, etc makes Munnar the abode of nature. Thrissur is famous for its Guru your Temple. An old known temple of Lord Krishna in Hindu religion. Devotees across India come to this temple to worship the childhood form of Lord Krishna. Near the temple, there is an Elephant camp. The elephants are taken care of by the committee of the temple itself and are used in festivals as 'Gujraaj'. Thrissur is also famous for its Athirapally waterfalls, the best sight for photography and feeling the nature in the south. Additionally, you can book hotel near Thrissur using Oyo Coupon Code at discounted prices. Apart from these major cities, Calicut is also the best spot for foodies. Jackfruit biryani is a well-known dish of Calicut. It also has Karimeen Pollichattu, Appam with fish curry, Kadak curry with pattu and a lot more. Other cities are also packed with a variety of culture and great Indian cuisines. Kerala is easy to reach due to 4 international airports in Thiruvananthapuram, Kochi, Kozhikode and a newly formed in Kannur. It is the first state in India having 4 international airports, from which Kochi is the only airport in the world fully powered by solar energy. It is also the home for tigers and elephants to visit and see the emotional and religious connection between elephants and the local people. 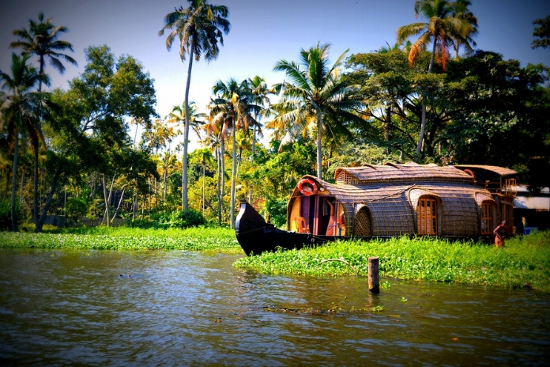 Kerala is the home of India's best spices, cocoa, black pepper, and more importantly coconuts. Also, there is a good network of trains and buses which makes your travel highly affordable. People in Kerala have near to nature and a simple lifestyle, whether we talk about giving respect to the animals or have dinner on banana leaves. Visiting this state could show you the face of simpleness and harmony in India.